Democrats' last chance to show some legislative vim. WASHINGTON—The lame-duck session of Congress that kicks off this week will test whether Democrats have spines made of Play-Doh, and whether President Obama has decided to pretend that capitulation is conciliation. Congress faces an enormous amount of unfinished business, largely because of successful GOP obstruction tactics during the regular session. Republican senators who declare themselves moderate helped block action on important bills, objecting either to provisions they didn't like or to Democratic procedural maneuvers. Thus did Sens. Olympia Snowe and Susan Collins of Maine and Scott Brown of Massachusetts give themselves permission to fall in line behind their party’s leadership even as they continued to claim that they were really and truly independent. OK, let’s test that. One of the bills blocked was the Disclose Act, designed to end the scandal of secret money in election campaigns. If the contest we just went through proves anything, it’s that voters should have the right to know which millionaires, corporations and special interests are flooding the airwaves with attack ads on behalf of candidates who can blithely deny any connection to the slander and any knowledge of who might be trying to buy influence. It shouldn’t take investigative reporting after the fact for voters to learn such things. Snowe, Collins and Brown all say they are for disclosure, as does Mark Kirk, the new Republican senator from Illinois. The Senate Democratic leadership should be eager to give them a chance to prove it by bringing up the bill. Another casualty in the regular session was legislation to end the military’s foolish “don’t ask, don’t tell” policy. Again, Collins is a key player. We now have a court decision declaring the policy invalid and the military is reportedly ready to declare that ending discrimination against gays would not harm the armed forces. It’s often said that the elected branches of government, not the courts, should make decisions of this sort. Fine. Let the Senate get it done. Senate Majority Leader Harry Reid came out on top in a bruising re-election campaign partly because of strong support from Latino voters. He promised to bring up the DREAM Act, which would provide a path to citizenship for illegal immigrants who arrived here as children if they attend college or join the military. 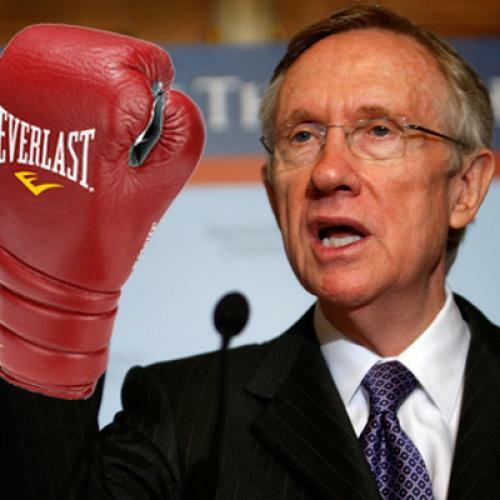 Reid should keep his promise. There are a slew of judicial nominations as well as several executive branch appointments pending. The abuse of the confirmation process is another long-time scandal. The Senate shouldn’t leave town without getting these appointees through. An extension of unemployment insurance is set to expire at the end of this month, at a moment when the unemployment rate is 9.6 percent. Will Congress just go home without a thought to what the lives of these Americans will be like during the coming holidays? Which brings up the biggest scandal of all: Imagine a Congress still controlled by Democrats passing an extension of the Bush tax cuts for millionaires but leaving the unemployed out in the cold. If this happens, laugh out loud the next time a Democrat claims to be on the side of working people. Yet administration officials have been talking about capitulating to the Republicans on the millionaire tax cuts without a word about the jobless, or even about extending the president’s own tax cuts geared toward the non-privileged. And some Democratic senators just don’t want to be bothered with a long lame-duck session. They want to take care of the wealthy and not do much more. If the president caves in on the tax cuts, then his speeches of the last few months were just empty talk. He’ll be lending his hand to those who would drive the car right back into that ditch he loved to talk about. And if Democrats don’t fight to turn the lame-duck session into a moment of action, they will end a Congress of remarkable achievement not with a bang, but with a craven whimper.